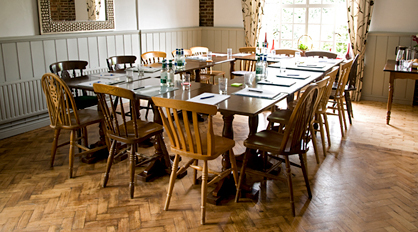 Because of its location, the Frog is an ideal place to hold out-of-town meetings and conferences and the dining room can be arranged to accommodate 20 people comfortably in classic conference style. The room can be screened for total privacy from the rest of the pub. 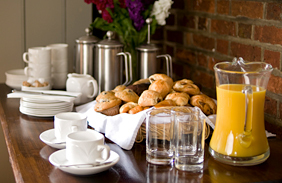 We also provide refreshments and food. Please don’t hesitate to get in touch should you require help with planning and audio-visual equipment. Depending on your requirements, large celebratory dinners are also welcome. We work hard to give you the special kind of afternoon lunch or evening menu that you require.